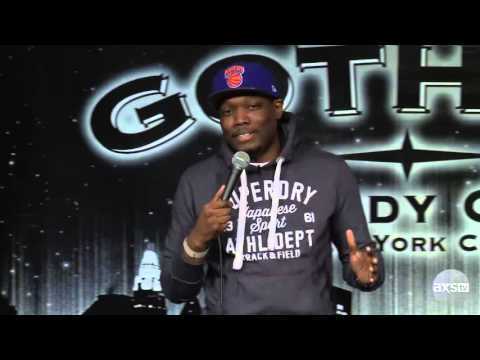 Critics and audiences agree New York based writer, actor and stand-up comedian Michael Che is a star on the rise! Having been named one of Rolling Stone’s “50 Funniest People,” Buzzfeed's "50 Hottest Men in Comedy," and Variety’s “Top 10 Comics To Watch,” he is quickly leaving his mark on the media landscape. A native of lower Manhattan, Che’s comedy uses humor to identify humanity in the most controversial actions. Che is currently the co-anchor of Saturday Night Live’s iconic “Weekend Update” segment, where he is also a staff writer for the show. Michael recently released his first hour-long stand-up special entitled Michael Che Matters on Netflix. His first special aired in 2014 on Comedy Central’s The Half-Hour stand-up series. Prior to joining SNL, Che worked as a correspondent on Comedy Central’s Emmy and Peabody Award-winning program The Daily Show with Jon Stewart. He was the first-ever stand-up comedian to perform on NBC's Late Night with Seth Meyers, which marked his second late night appearance following his 2012 late night television debut on CBS's Late Show with David Letterman. Che has made numerous other television and film appearances including Chris Rock’s Top Five, Comedy Central's hit series @Midnight, and as a weekly cast member on Vh1’s Best Week Ever.